In August, 2018, the Board of Education selected Dr. Alex Cherniss to lead the District. 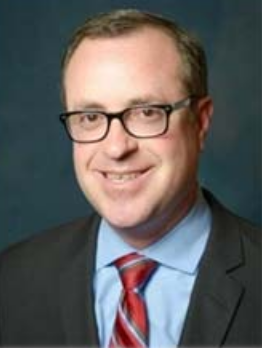 Prior to Palos Verdes, Dr. Cherniss was the Superintendent of the 3,000-student San Marino Unified School District which was the #1 academic achieving school district in California throughout his tenure. In 2018, he was a nominee for the Superintendent of the Year in Los Angeles County. His experience includes serving as the Chief Financial Officer for the Los Angeles County Office of Education where he certified the budgets of 80 school districts totaling over $14 billion. He also rose through the ranks in the Beverly Hills Unified School District from middle school math teacher to K-8 principal to Human Resources Director and Assistant Superintendent of Business Services. Dr. Cherniss is a graduate of UC Santa Barbara and earned his Ed.D. degree from USC Rossier School of Education, where he has served as an adjunct professor teaching a doctoral class in school economics. He and his wife, Liz, have three young children, Finn, Leo and Harper.